Robinson stopped off at schools along the route to fuel her runs, as pupils joined her on the road to be part of her impressive journey- the final leg of which finished up at LACA’s Autumn Seminar. “Over the years, we have seen NSMW grow in its importance to the education catering industry and creating greater awareness to not only the general public, but to all the thousands of dedicated individuals who do such a great job throughout the school year,” said Porter. “This has been achieved by holding high profile events such as serving school food to politicians in the House of Commons and the Welsh Assembly, serving school meals in the restaurant at the summit of Snowdon and school chefs working in Michelin Star restaurants. “However what the NSMW team has produced this year has surpassed even those achievements. 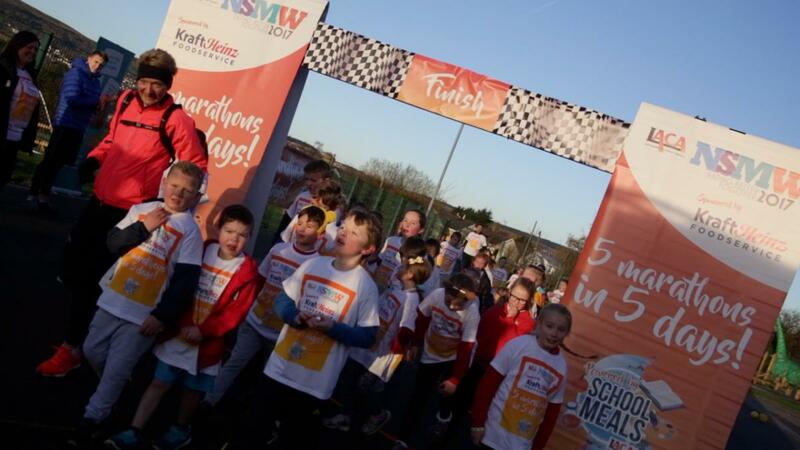 The five marathons in five days, ‘Powered by School Meals’ project was hugely ambitious and involved an incredible amount of organisation. “It was tremendous to take NSMW on the road and fully engage with the LACA membership around the country and every region deserves terrific credit for the way they worked with the NSMW team to make each individual stage a great success in its own right. “To see hundreds of children, parents, teaching staff, catering staff and LACA regional committee members joining Karen for part of her journey was fantastic. The celebration of great school food to ‘Power’ Karen up for her next part of the route was equally rewarding, as it demonstrated to the best possible effect what our industry can do when it pulls together. 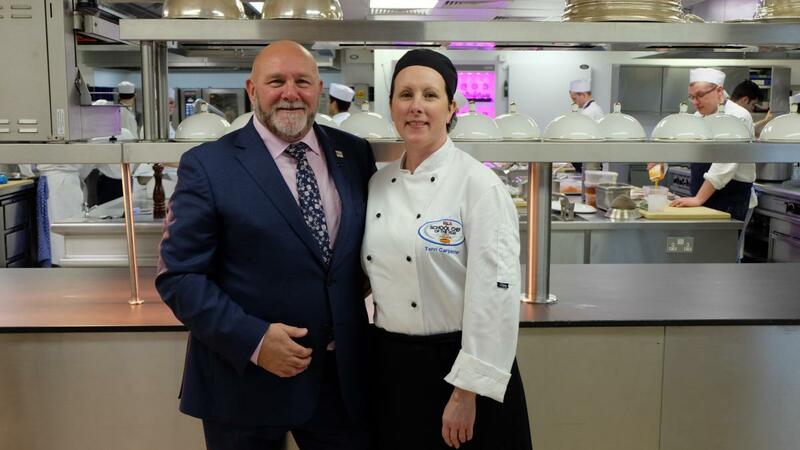 The week's activities also included the ‘Host a School Chef’ programme which saw chefs from schools up and down the country given the opportunity to work in some of the best restaurants in the UK, which this year included the Ritz London, which was visited by Terri Carpenter (below). “This sector of NSMW has most definitely become a firmly established favourite with LACA members,” said Porter. “A school chef working with some of the most celebrated chefs in the country is a fantastic vehicle to showcase the skills and capabilities of our caterers. “There is no doubt that this year’s collection of host restaurants was the best we have ever had. 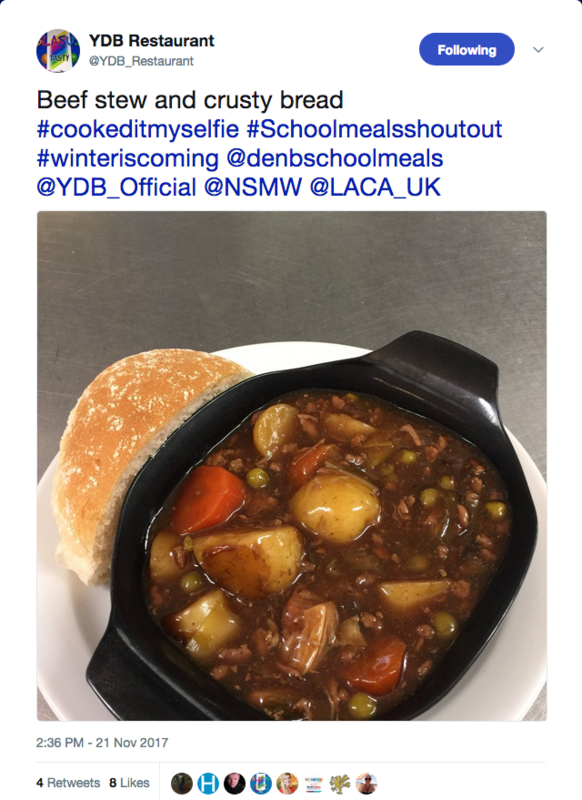 Another successful part of NSMW was the popular '#cookeditmyselfie' initiative which received hundreds of online entries of school meal creations, like those seen below. The winner of the competition is set to be announced tomorrow (24 november) with the best entry winning £500 worth of equipment or marketing support for their school. 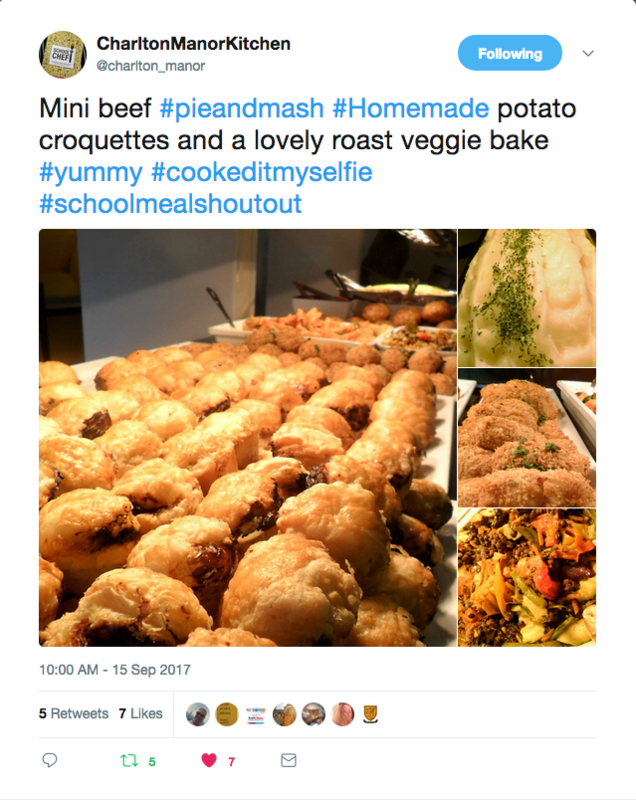 Porter concluded: “There was so much happening at individual school level as well, with themed lunches, competitions, National Roast Dinner Day from the Soil Association and pupils, staff and parents wholeheartedly embracing all that is great in education catering.